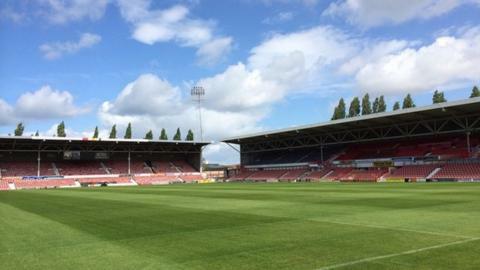 Wrexham's Glyndwr University Stadium will host the 2016 JD Welsh Cup final between holders The New Saints and Airbus UK Broughton. The 129th final will be played on Monday, 2 May with a 16:15 BST kick off. New Saints beat Aberystwyth 3-1 the last time the Racecourse staged the final in 2014. Saints have won the Welsh Cup five times while Airbus UK will be appearing in their first final.